Caribbean Stud Pro High is poker at it’s least and most. Allow us to elaborate; this game has taken the concept of poker and shed off the manipulative tactics of bluffing. That’s why its poker at its least. It is poker at its most because the stakes are well and high. This version of Caribbean Stud Pro is High indeed. If the idea of placing £100 bet for £10,000 returns sounds appealing to you, Caribbean Stud Pro High is the game for you! 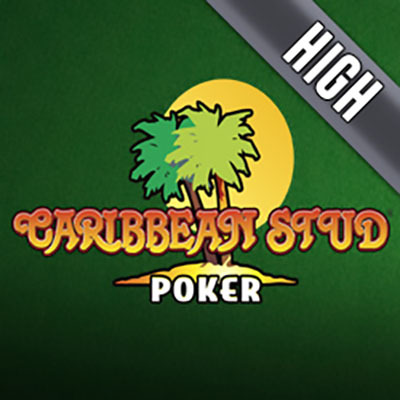 Caribbean Stud Poker High is a simpler version of the poker. The winning hands remain the same, the concept stays, as does the anticipation. What differs in the games is the deception aspect. Caribbean Stud Poker High is a direct, what you are dealt is what you have type of game. This is especially great for solo online players. The idea of the game could not be more straightforward. To win, you will need to have better cards than the dealer. It really is as simple as that. But don’t be fooled, the game will keep you on the edge of your seat. With such high stakes, up to £100, you would not want the simplicity of the game lull you into too much of a relaxed state. Players are dealt 5 cards in this game and are allowed 1 hand for each round. The Payouts and potential Winning Hands are stated below. Caribbean Stud Poker High is simple, direct, and rewarding. The game allows you to focus on just what is in front of you, the cards. There is no need for further games and strategies that stretch beyond the table. It is a great game for high rollers who would like a breather from the overt strategizing of regular poker.